Our annual 3T wine trip to the vineyards of Long Island’s North Fork was a huge success. 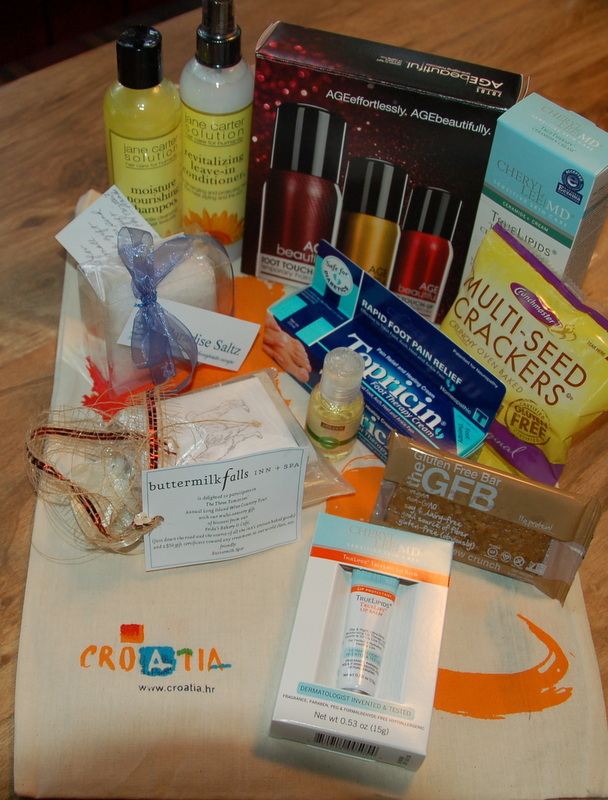 All of the tomatoes who attended received some absolutely fabulous gift bag and raffle items and we thank all the contributors. We’ve been enjoying all of these products and for those of you who couldn’t be there, here are new products you’ll love. 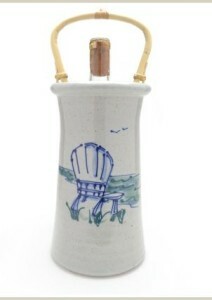 Two tomatoes were the lucky winners of these beautiful handmade pottery wine coolers. 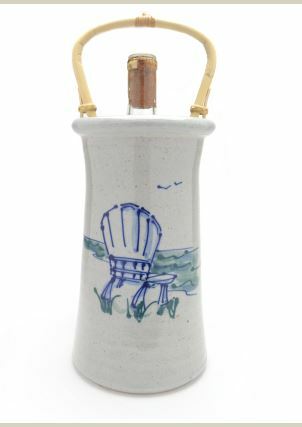 Your wine will stay chilled for hours in one of our beautiful ceramic pottery wine coolers and chillers. They’re available in 16 different patterns and can be hand lettered too. 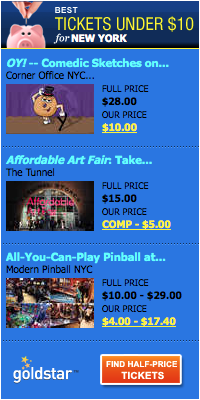 And they’re just $45 each. Check them out now. Cheryl Lee MD® Sensitive Skin Care products are the first skin care products in the market to be truly therapeutic, hypoallergenic and non-toxic. 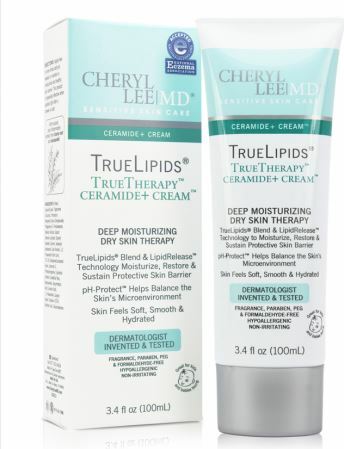 The technology behind their skincare product line is called TrueLipids®, and it has helped many people manage their sensitive skin conditions without the use of prescription steroids. 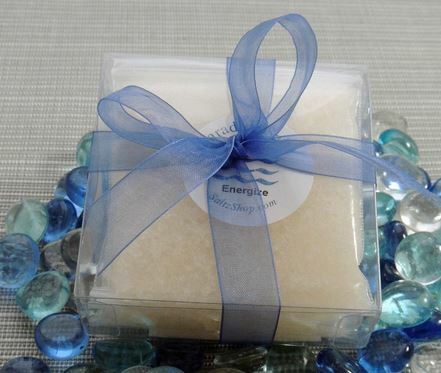 We love the deep moisturing dry skin therapy and the lip balm is super moisturizing too. Learn more. Not only did we get to enjoy delicious biscotti biscuits baked in their bakery, we each received a $50 gift certificate for their spa which looks fabulous. 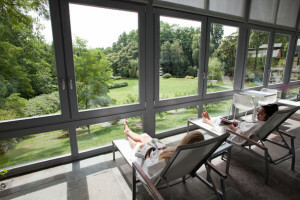 The Buttermilk Falls Inn & Spa are located in Milton, New York on the Hudson River is just 90 minutes from NYC. 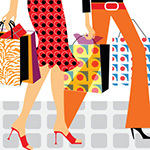 It looks fabulous and we can’t wait to use our gift certificate. Learn more. Now here’s a great product idea. 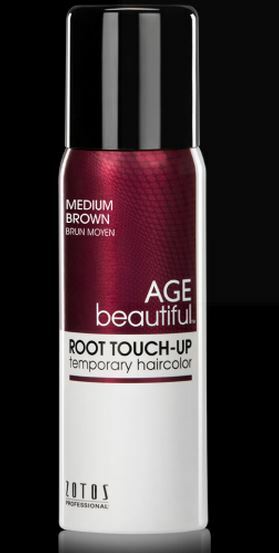 In between hair coloring, just spray on AGEbeautiful Root Touch-Up Spray anti-aging temporary haircolor. It quickly & easily conceals gray roots in seconds. Ideal for temporary coverage to mask stray grays in a pinch or in between salon visits, this water, sweat and stain resistant formula lasts until the next shampoo. Available in 8 shades. Learn more. This is an all-natural hair care product line created for all hair types and textures, regardless of ethnicity or race. 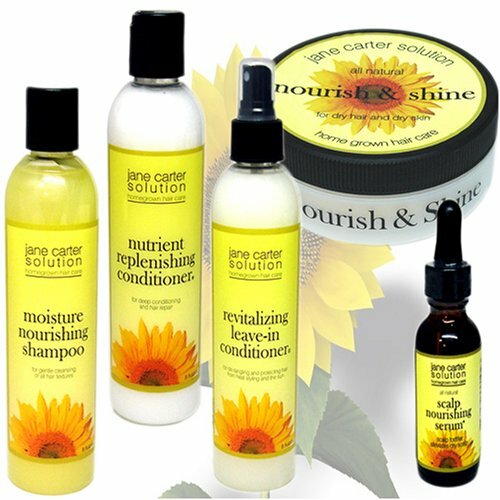 Jane Carter Solution products use all natural ingredients; including pure organic essential oils, natural butters, plant extracts, and vitamins which are carefully formulated to repair and hydrate dry or damaged hair. They’re kind to your hair, your body, your planet. We can’t wait to try the shampoo and conditioner. Learn more. Paradise Saltz are therapeutic salts, the easy antidote to refresh body and mind following long stress-filled days. They come in 2 and 4 ounce pre-packaged soaking size and you take them anywhere. Perfect for traveling too. And the scents are glorious. 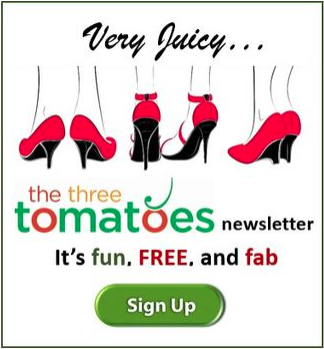 Anyone who uses the code 3TOMATOES through October 31, 2015, will receive 10% discount on their purchases. 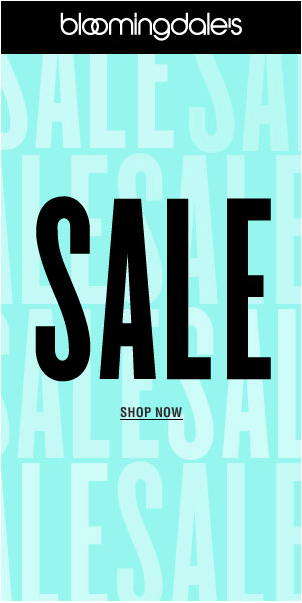 Go to www.SaltzShop.com and enjoy! One word – luxurious. 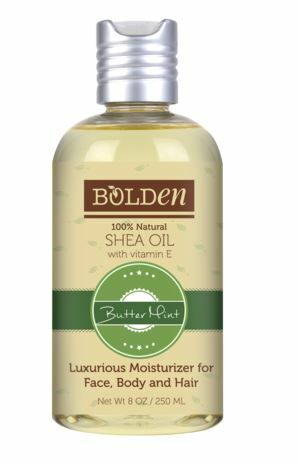 This 100% natural Shea Oil is made from ethically-sourced Shea nuts picked and processed by local women’s groups in Burkina Faso, West Africa. Shea has been used for centuries by the women of West Africa for its richly moisturizing and skin repairing properties. It is prized for its ability to naturally protect against dry skin, sun damage and the visible signs of aging. Use it on your face, body, and hair. Learn more. These delicious gluten free protein snack bars are delicious and certified gluten-free, certified vegan, certified non-GMO, and certified kosher and they are soy free too. Wow. The snack bars come in 5 different choices, including coconut cashew crunch, and dark chocolate coconut. Get the details. We’ve been huge fans of these delicious crunchy crackers that also happen to be gluten free for a long time. We buy them en masse at Costco. 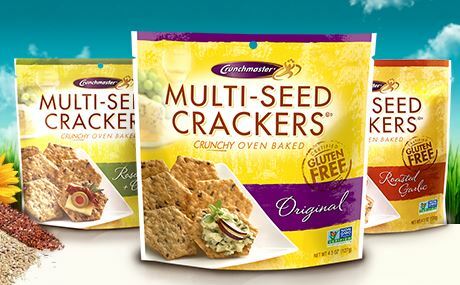 This versatile favorite is packed with delicious toasted seeds (sesame, quinoa, flax and amaranth) and is lightly seasoned with a wheat free tamari soy sauce. Get the details. Your feet will thank this. 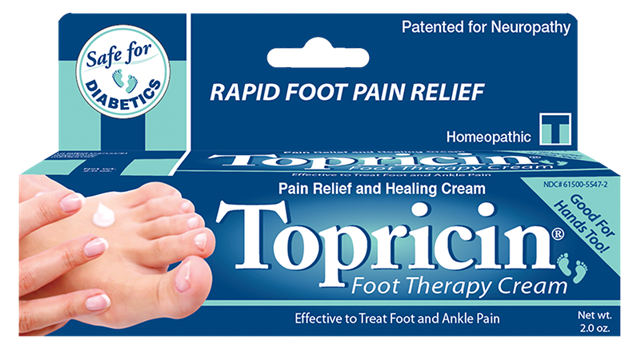 The award winning Topricin Foot Therapy Cream is specially formulated to effectively treat foot and ankle pain. It is perfect for common sports injuries such as plantar fasciitis, achilles tendonitis, strains, sprains, leg cramps, and impact injuries and bruising. 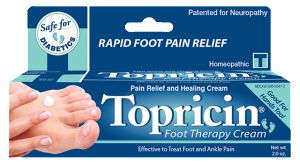 And every airline traveler should have Topricin Foot Therapy Cream in their bag.. NO More swollen ankles for you! Learn more.